This delicious grilled vegetable recipe is perfect served as a side to your steak, or on its own as a light and satisfying main dish. 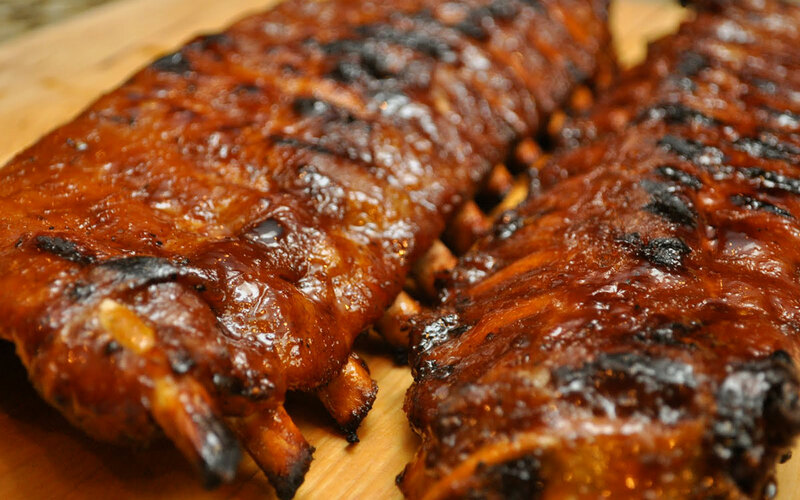 We suggest paring this recipe with our Napa Blend wine. 1. Preheat the grill to medium-high. In a small saucepot, combine the honey and the orange juice. Bring to a simmer and cook for 1 minute. Set aside and keep warm. 2. In a large mixing bowl combine the vegetables with enough olive oil to lightly coat and season liberally with salt and pepper. Gently toss. 3. 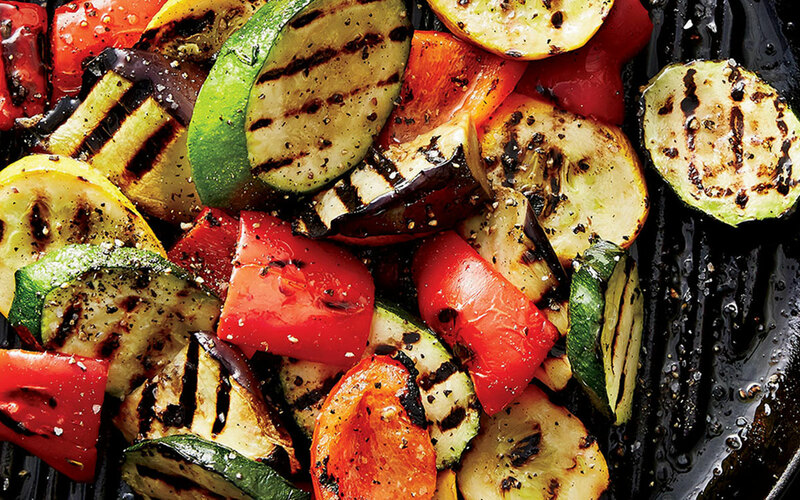 Grill the vegetables until nicely charred but still crisp-tender, turning often. (If using thin asparagus spears, add these to the grill last, as they will cook quickly). 4. Brush the vegetables with the honey/orange juice mixture and continue to grill for 1 to 2 minutes on each side, brushing the vegetables with the mixture and allowing the honey to caramelize from the heat of the grill. 5. To serve, arrange the vegetables on a large platter. Top with shavings of Parmigiano cheese and torn basil leaves.